Yellow Zebra Safaris has challenged me to write a blog post about my favorite vacation of all time for a chance to win my dream vacation. It was a really hard decision but in the end I just had to choose Iceland. Well, I think what makes travel so memorable is being in a place that is so unlike anything you’ve ever seen before. It’s opening your eyes to a whole new culture, a beautifully different terrain, and new way of life. 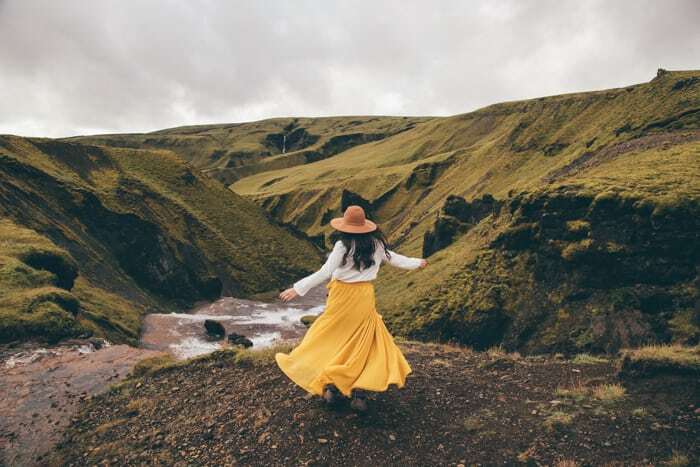 When we were in Iceland, my husband, Harrison, and I got to really explore the country for nine straight days. Nine days of exploring waterfalls. Nine days of endless mountains. And nine glorious days of driving in an otherworldly landscape. 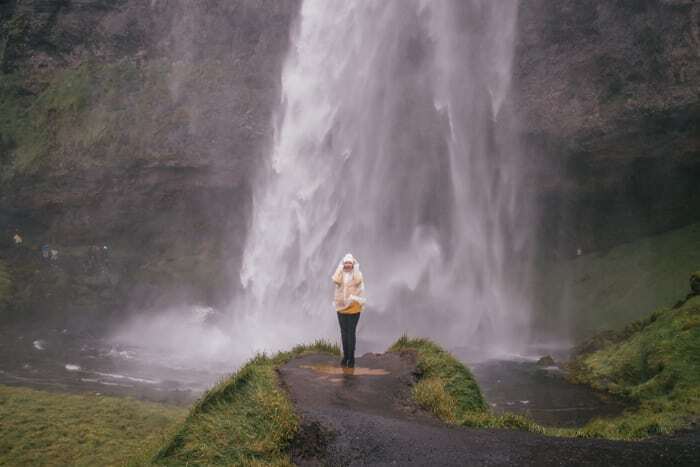 One of my favorite stories from Iceland was when we got lost trying to find Fagrifoss waterfall. We were driving inland trying to reach this stunning waterfall. Our GPS was limited to an exact map from our starting point to Fagrifoss. We drove for 30 minutes on a gravel/dirt road through the most stunningly green terrain, and followed our map… all the way up to a rushing river. If we weren’t in a rental car, we probably would’ve forged through the river to continue to the other side. But being in a rental on an already expensive trip, we knew we couldn’t afford any potential damages. So we decided to head back the way we came. Just one more problem… our GPS wouldn’t show us the map anymore. So there we were, surrounded by nothing but open space and mountains, with a dirt road that diverged so many times with no street signs. We eventually reached the main road and our GPS started working again. Of course, we never reached Fagrifoss, but the neatest thing was the lesson we learned. Being in the middle of nowhere, with no other souls in sight and no wi-fi or data, is absolutely exhilarating. We also got to see some wild, beautiful landscapes (like the one below) on the way, so didn’t feel like we missed out on anything at all. The very essence of wanderlust and travel was encapsulated into one epic trip that changed us for the better. We got to experience a completely different lifestyle, meet people who call Iceland their home, and see the country through their eyes. It changed the way I view the simple pleasures of life. These days, it is so easy to think of possessions as the ultimate thing that satisfies. But in my opinion, more possessions can easily lead to more stress. And though we find joy in our faith, visiting new places brings us so much happiness and quenches our wanderlust– until the next trip I guess! So all in all, Iceland was simply the best vacation we’ve ever been on. But what is Yellow Zebra Safaris, and what do they have to do with Iceland? Yellow Zebra Safaris actually doesn’t have much to do with Iceland, but has everything to do with their blogging competition that I entered. This competition could enable me to check off another one of my bucket list items: going on a safari in Tanzania. Ask anyone who knows me- they can attest to the fact that I literally say Tanzania is my dream vacation. If I could go anywhere right in this moment, it would be to the Serengeti. At the top of my bucket list is an overnight safari in the Serengeti. Tanzania has been a dream of mine ever since college, when I learned that a friend had visited and fallen in love with it. She described its people, its colors, the wild ruggedness of being out on a safari, seeing animals up close. I pictured it for myself and just like that it become a dream. My freshman year of college I actually taught myself some basic Swahili in preparation of visiting Tanzania one day. Very elementary Swahili, but I love to speak it nonetheless (just ask my college roommate!). Though the Serengeti was the ultimate goal, I had always wanted to visit Africa, and we did for the first time two summers ago when we spent two weeks in Rwanda. So you might be thinking- isn’t Rwanda enough of Africa to see? To that I’d answer most assuredly- no! I fell in love with Rwanda but it is so different from Tanzania, even though it is next door. For one, it’s known as the Land of A Thousand Hills, so it’s terrain is quite unlike what you picture when you think of Africa. For another, it doesn’t have the full safari experience, which is what I’m dreaming of. 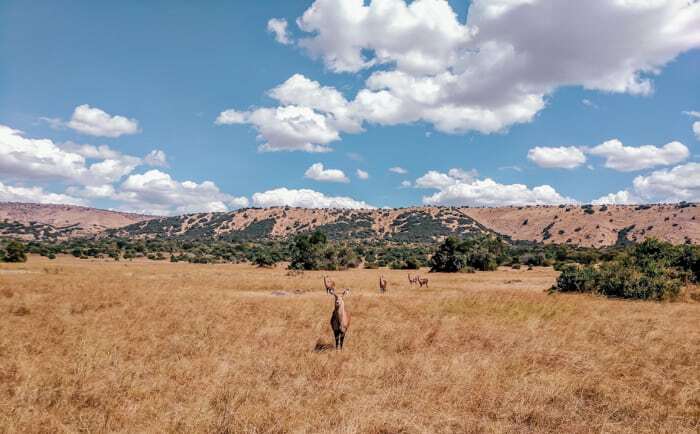 Instead it has a smaller day safari game drive through it’s national park where you can see zebras, wildebeest, and if you get lucky, a few giraffes out in the distance. 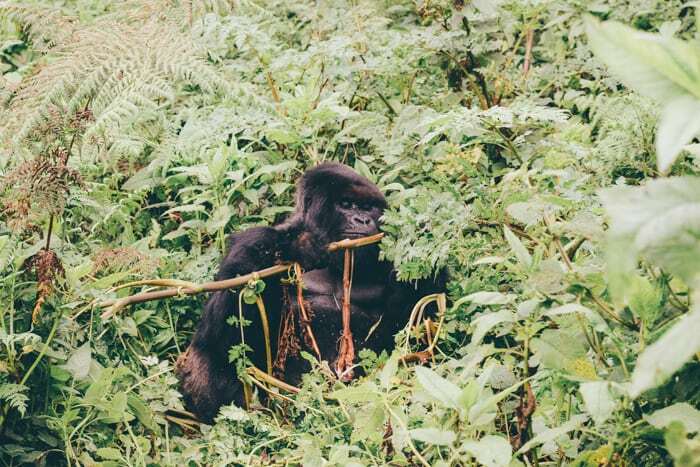 Its real claim to fame is mountain gorilla trekking which is another experience that is out of this world. But if I’ve been dreaming of safaris, why didn’t we visit Tanzania instead of Rwanda? 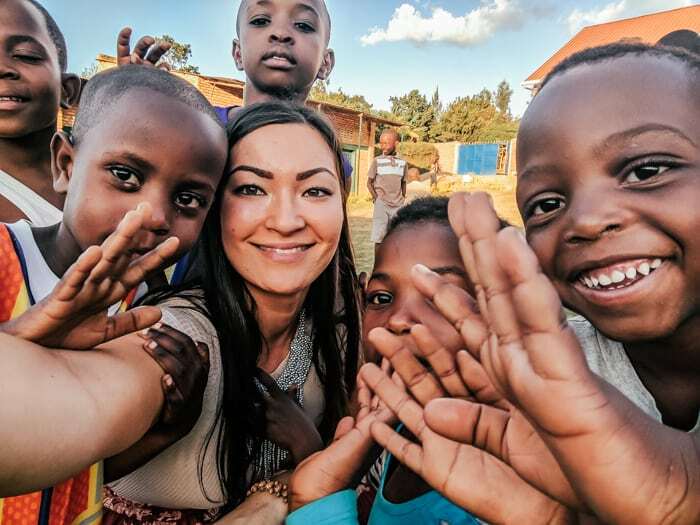 Well, we went to Rwanda with a clear purpose- to visit the girl we sponsor there, Sonia. She’s the most precious girl and we wanted to meet her! We had limited vacation days, and knew that traveling to another country would take time that we didn’t have. So we spent our time exploring Rwanda to see all it has to offer! It was a dream, but it didn’t check off my top item on my bucket list: an overnight safari. When I think of partnering with Yellow Zebra Safaris, I think of the stuff my dreams are made out of. One of my favorite movies of all time is the live action version of Tarzan. The landscapes in this movie just blow me away (if you haven’t seen it, it is more than just jungles). My favorite music video of all time is Taylor Swift’s Wildest Dreams because it is the most romantic safari video I’ve ever seen. If you came to this post hoping to plan a trip to Iceland and leave it wanting to plan a trip to Tanzania, I apologize for changing your plans! But you can’t go wrong with either place! Of course, I say that having never been to the latter country, but hopefully someday I’ll get to go and see it for myself. Then I’ll be back with all the travel tips you’ll need! If you do want more information about going on a safari in Tanzania, check out the Yellow Zebra Safari Tanzania page here! 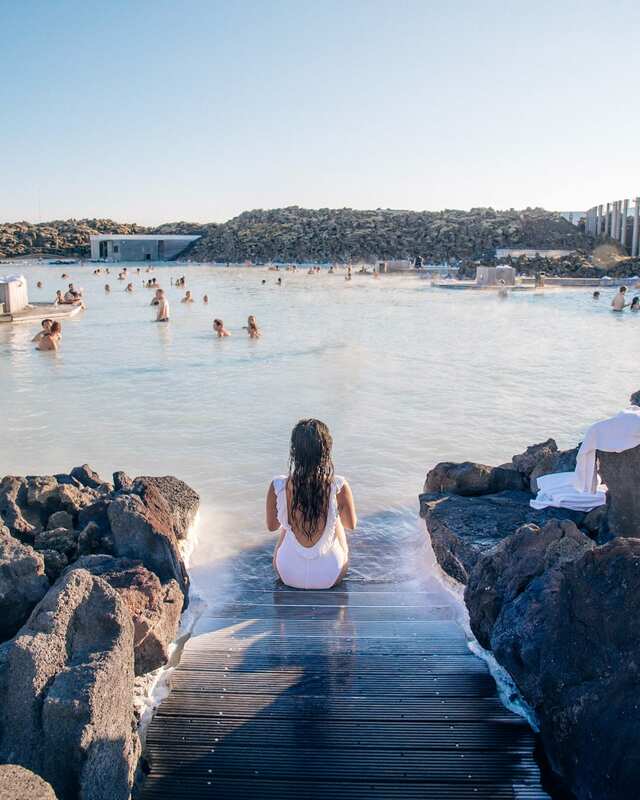 Hot pots, lagoons, mountains, waterfalls, black sand beaches, glaciers, horses- this Iceland itinerary has them all. 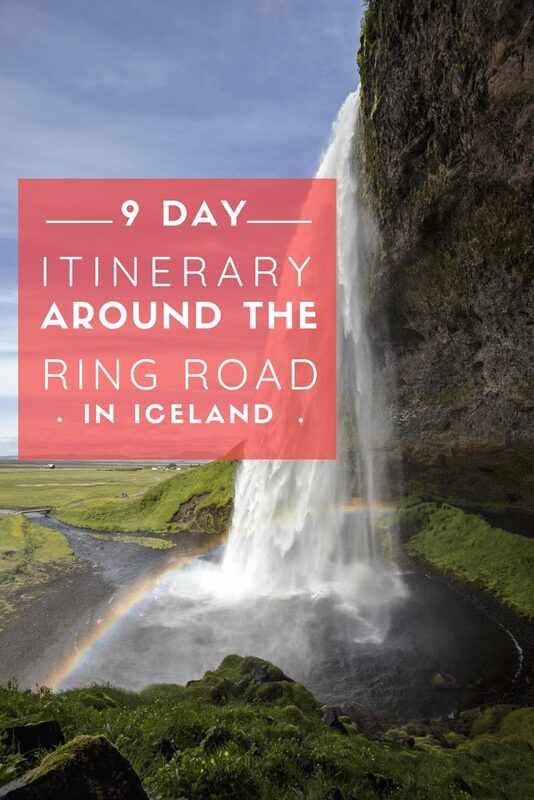 My husband, Harrison, and I recently spent 9 days in Iceland driving around the Ring Road. 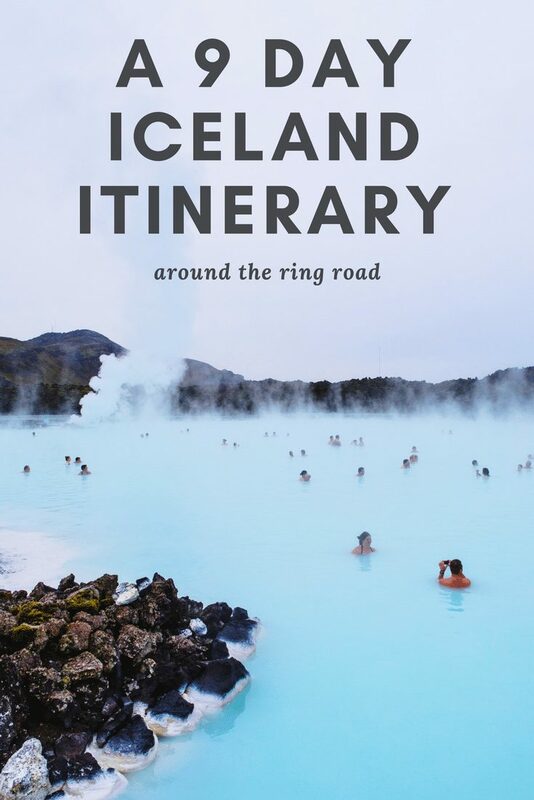 I planned meticulously for months ahead of time, and came up with a Google map and the ultimate Iceland itinerary that we followed each day! We followed it step by step and our trip was honestly amazing. After our nine days were up, we felt like we had really gotten to experience Iceland in all its beauty- it was incredible! 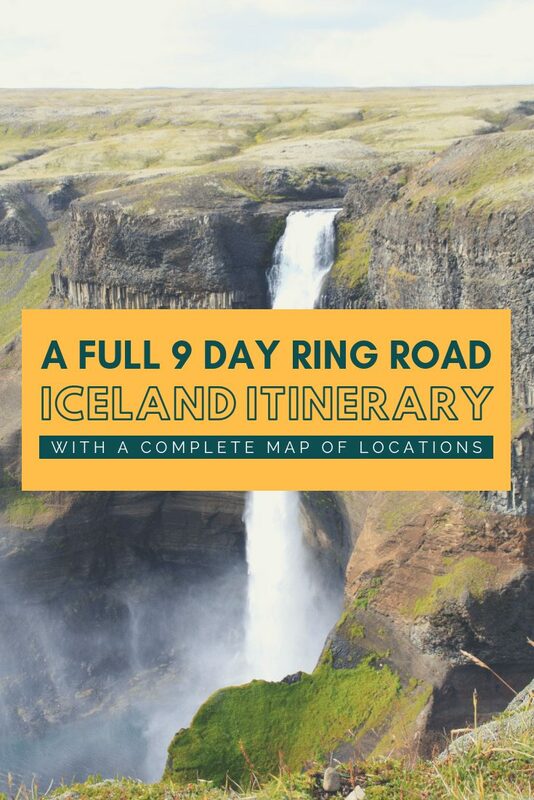 So here you go- a nine day Iceland itinerary around the Ring Road. You’ll go all around the circle on Highway 1, catching all of the most beautiful sights along the way! 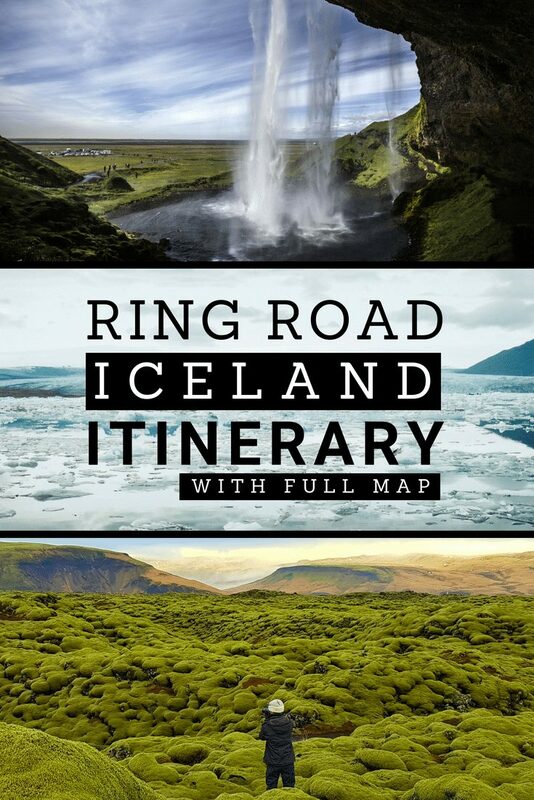 I hope this helps you plan your trip whether you’re in Iceland for a week or a month! Modify it to suit exactly what you want to get out of your trip! Klafavik Int’l Airport– Land in the morning. 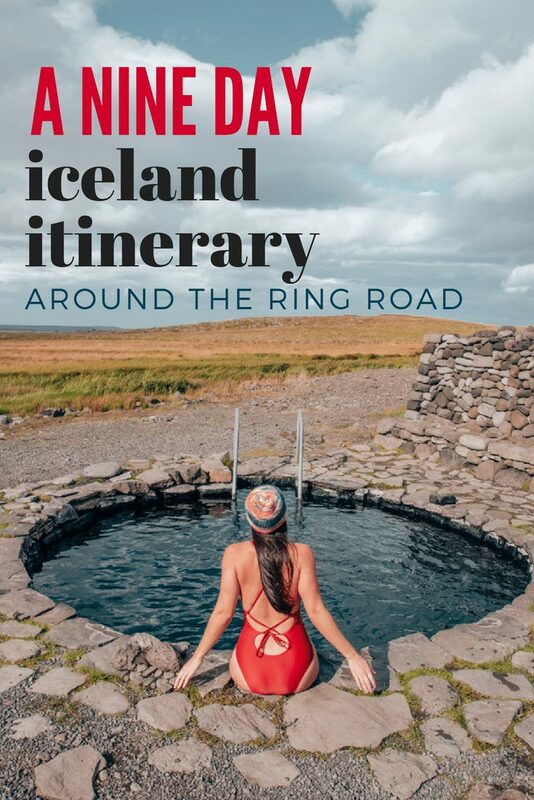 Pick up your portable WiFi at Dunkin Donuts (we got ours through TraWire) and get your rental car by the airport (we used 4×4 Icerentals through Guide to Iceland). 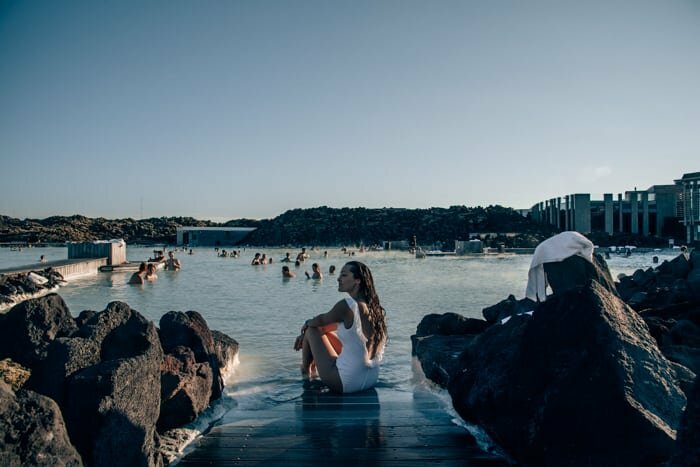 Blue Lagoon– **Advanced reservation required** Enjoy the Blue Lagoon right after the airport since it’s right next to it! It’s also a great way to decompress. Lava Restaurant– Splurge a little and have lunch at the Lava Restaurant at the Blue Lagoon. 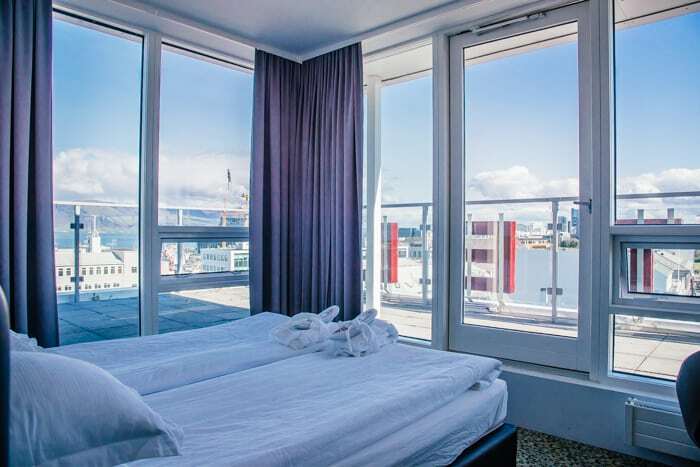 Hotel– Check into your hotel in Reykjavik. We stayed at the CenterHotel Plaza and loved it. I highly recommend upgrading your room to the top floor! It’s not too much extra (I think it’s around $30 USD) and the view is worth it! 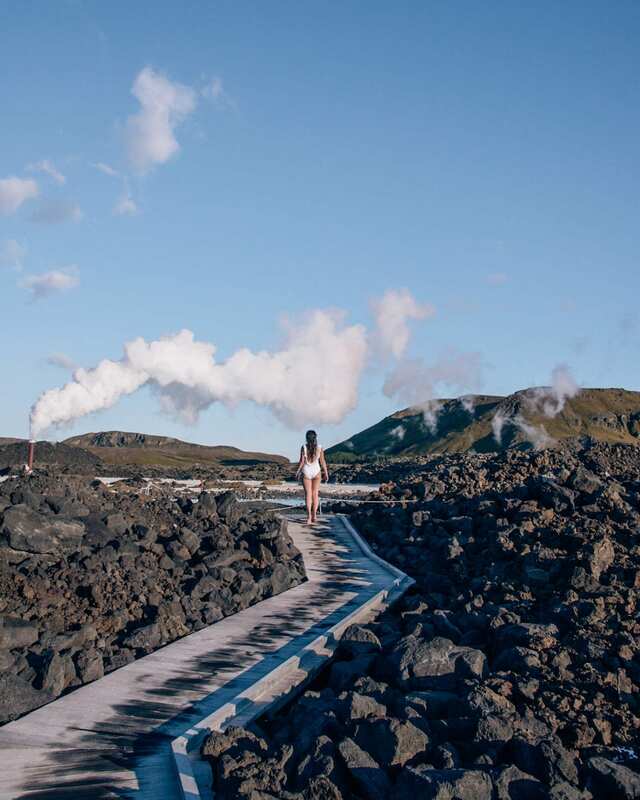 Reykjavik– Explore the city! Be sure to check out Hallgrímskirkja, the famous Icelandic church. 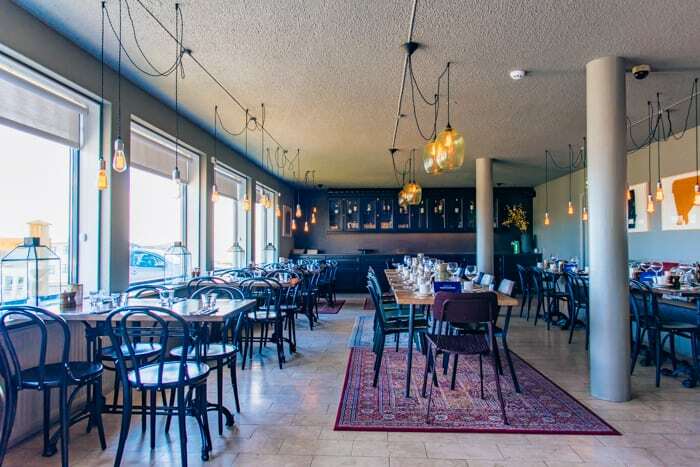 Dinner– Grab some dinner in Reykjavik. 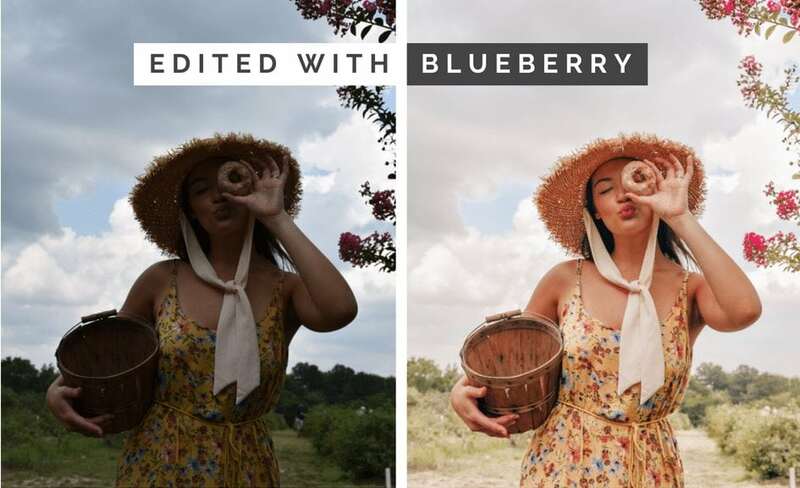 The options are endless, so I’ll let you choose whichever one sounds best! 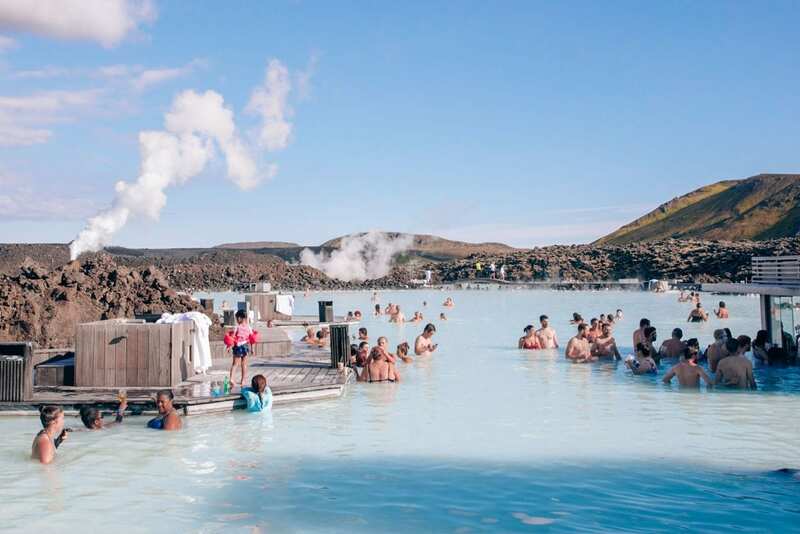 Plan for at least 3 hours at the Blue Lagoon. It’s so relaxing- the perfect way to decompress after a long flight! 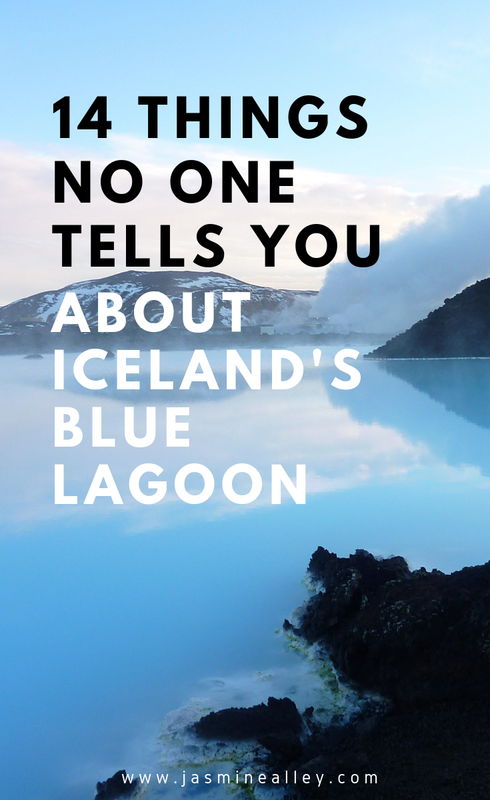 Click here to learn about the things that no one tells you about the Blue Lagoon! 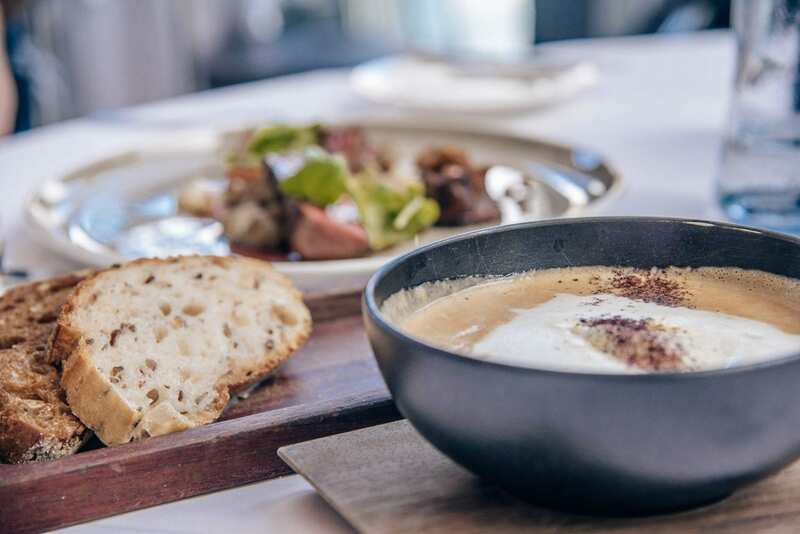 Food at Lava Restaurant may be pricey, but heads up! Pretty much all restaurant food is pricey in Iceland! Expect to spend at least $20 USD per plate for lunch and $30-45 per plate for dinner! We arrived to gorgeous blue skies in Reykjavik! This is why I recommend upgrading at the CenterHotel Plaza- the view is unbelievable! It’s also in a great location and very walkable area. Location: Driving around the Golden Circle, from Reykjavik making a circle to end up in the Selfoss area. 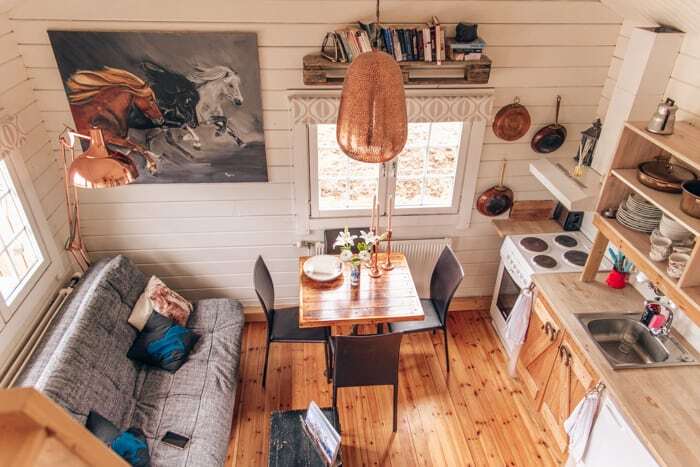 Akurgerdi Guesthouse– This guesthouse is basically a perfectly decorated tiny home set on a horse farm! You have your own private hot tub and a kitchen! The view at Þingvellir National Park. The famous Gullfoss waterfall! You will get sprayed a bit by the mist. Brúarhlöð was one of my favorite spots- we were practically the only ones there! It started raining while we were at the Secret Lagoon Hot Spring, but it was no problem- the hot water felt so good! There are full changing rooms and showers here. Heading down the stairs at Kerid. You can go all the way to the lake at the bottom! Location: starting in Selfoss, ending in Kirkjubæjarklaustur. Hotel in Kirkju-bæjarklaustur– We stayed in Hotel Geirland. It wasn’t anything special, but honestly there aren’t many options out here! These were some sweet Icelandic horses at the farm where we stayed, the Akurgerdi Guesthouse. I literally got soaking wet taking this picture of Seljalandsfoss, which is why I’m making the face that I am! Good thing I was pretty much wearing entirely waterproof gear! Seljavallalaug was pretty but honestly didn’t meet expectations. The changing rooms were littered with trash and the water had quite a bit of algae in it (and wasn’t very warm!). But it’s definitely a unique experience! The view of Skogafoss from the top of the stairs! Trust me, those stairs will give you a great work out. It was pouring rain at Reynisfjara Beach, but the black sand and basalt columns (not pictured) are really beautiful regardless! Hotel Höfn– This was one of my favorite hotels. They offer complimentary bike rentals, so definitely bike down to the water- it’s beautiful at sunset! Need ideas for where to stay along the Ring Road? Check out this post for detailed information on the best spots! A view of the canyons of Fjaðrárgljúfur. 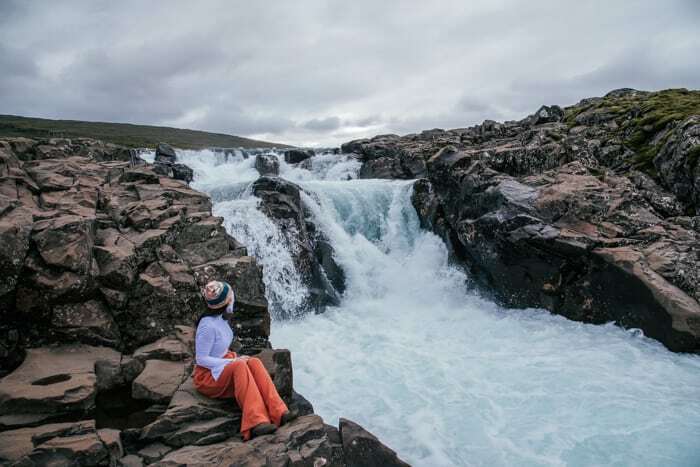 Though we didn’t make it to Fagrifoss, we did see some GORGEOUS views and falls along the way, like this one! Stunning glacier views at Svínafellsjökull. Check out those gorgeous glacier pieces on the black sand at Diamond Beach. Such a beautiful contrast! 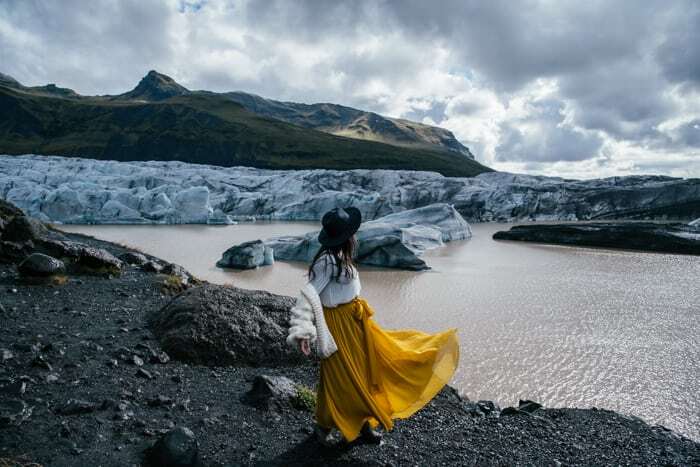 Right across the Ring Road you’ll find the stunning blue glaciers at Jökulsárlón. We ended the day with this sunset in Höfn. How incredible is this reflection? It was absolutely mesmerizing. Location: Höfn to Eskifjörður or Egilsstaðir, driving inland. You can also drive along the coast, but we wanted to see what we’d find inland. Note that you might need a 4X4 vehicle if you’re wanting to leave the Ring Road. Waterfalls galore– As you drive inland, you’ll be on a smaller road that is paved at some parts and gravel at others. Be prepared to see SO many waterfalls along the drive. 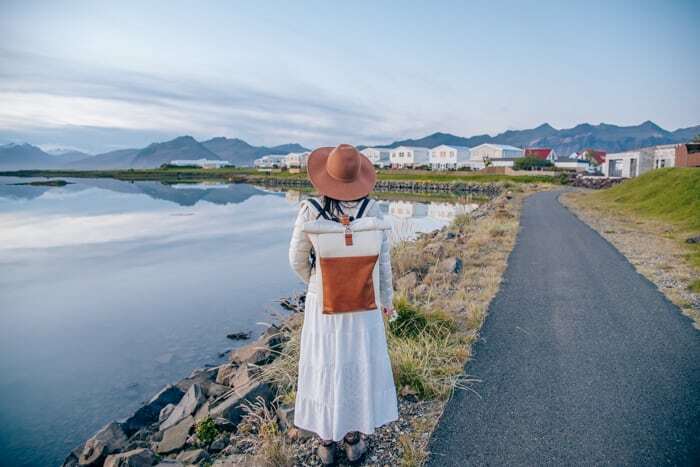 Hotel– We stayed at an AirBNB in Eskifjörður, but anywhere in East Iceland will be a good place to stop. If you stay in Egilsstaðir, your drive will be shorter on this day and the next. Waterfalls are all along the drive inland. It’s truly a magical sight! Another gorgeous water feature you might stumble upon. 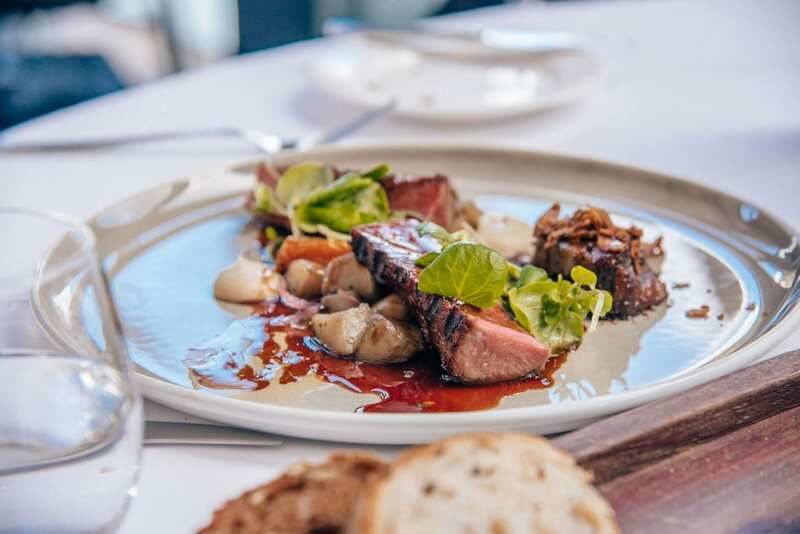 You’ll have a view of the crops and greenhouse while eating a meal at Vallanes. They even show you where your food is coming from! 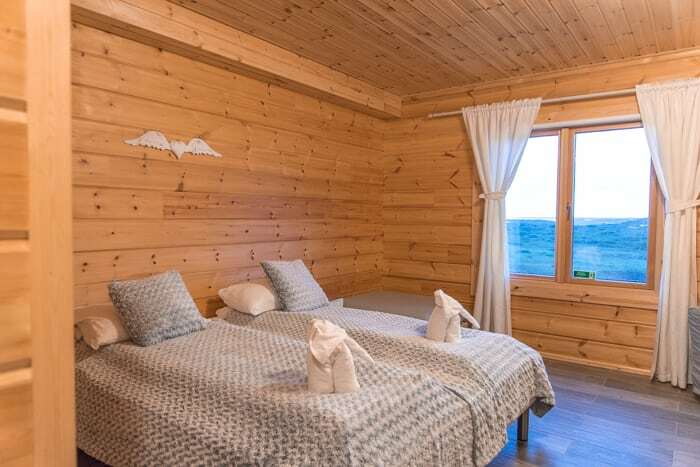 Guesthouse Storu-Laugar– This guesthouse has a great hot tub, but there isn’t much to do in the area. If you want to order dinner, you need to let them know by 5PM. 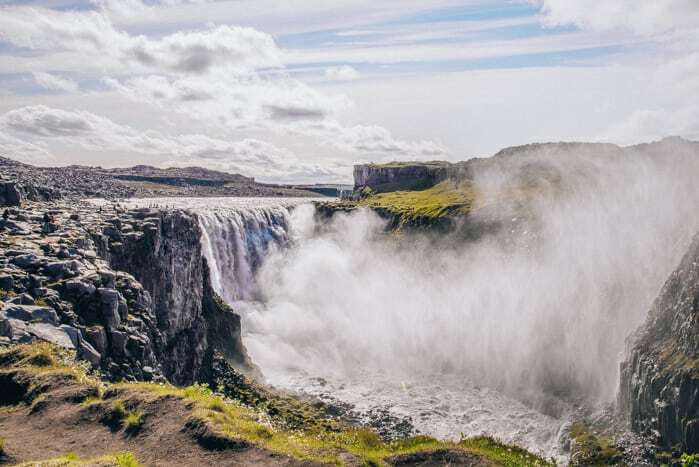 Dettifoss is the most powerful waterfall in all of Europe! Namascardh, the land of sulfur! Be prepared- it is quite smelly here! We ended the day with a soak in the hot tub at our hotel. AirBNB in Sauðárkrókur– We stayed at an AirBNB that allowed us to go horseback riding the next morning! They had the best riding rates that I was able to find. Gulfoss is known as the waterfall of the gods because of the pagan idols thrown into it after Iceland became a Christian country. A view of Akuyeri. This is such a pretty, colorful town. It’s the capital of the North, the biggest city in northern Iceland. When whale watching in Dalvik, it takes about 45 minutes of boating before you see any whales. It’s always breathtaking seeing humpback whales! They are so huge! We saw several. We ended our day with a pretty sky over Sauðárkrókur . Hotel Stundarfridur– This is a pretty new hotel that doesn’t have many rooms, but the ones they do have are large and beautiful! We began our day with horseback riding at our AirBNB, Icelandhorsetours. This was the best rate for horseback riding that I found! Even if you don’t stay overnight, contact them for a riding tour! This was one of two hot pots in this spot (the other one is a few feet out of the photo on the left). Such a quaint, quiet, and clean hot pot- definitely a hidden gem! What animal do you think Hvitserkur looks like? I think it looks like a rhinoceros! Yet another colorful sky as the sun went down on our eighth day. Old Iceland Restaurant-**Reservation recommended** Have the best dinner you’ll ever have at this restaurant! Be sure to try the salmon appetizer! The Snaefellus Peninsula has so many gorgeous waterfalls carved into its hills. This was our all time favorite waterfall, and it’s not even on a list of tourist attractions! We just stumbled upon it while driving. Does this part of Arnarstapi look like a scene from Lord of the Rings or what? This gorgeous brook turns into a gorgeous waterfall at the end of the cliff. Our best meal in Iceland- and possibly the best meal I’ve ever had- was at Old Iceland, where we had this delicious salmon appetizer. It’s a MUST! Our last night was finished off right- under a canopy bed, feeling like royalty at the Eyda Guldsmeden in Reykjavik. If you’re staying at the Eyda Guldsmeden, the breakfast there is a must, even though it costs extra. After that, return the rental car, your portable Wi-Fi hotspot, and head to the airport! 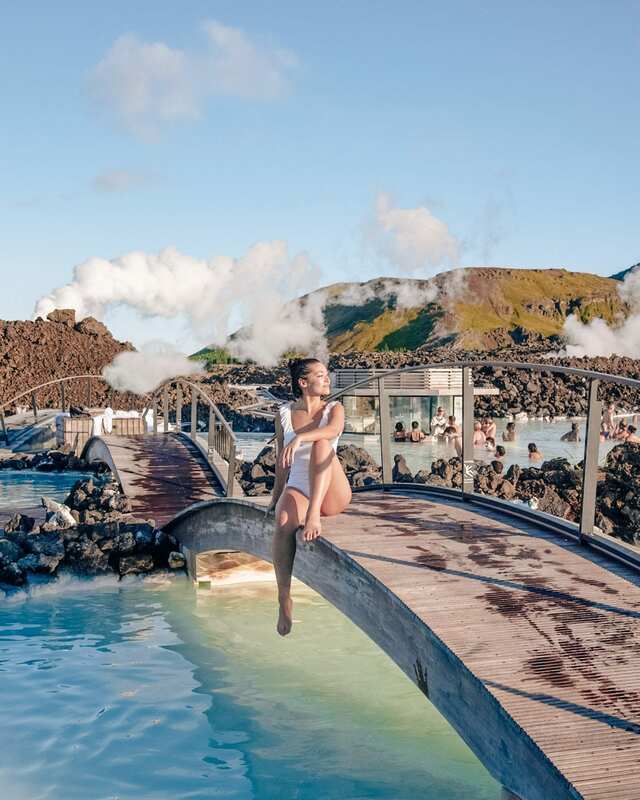 I hope your trip is absolutely amazing and I really hope this Iceland itinerary helps! 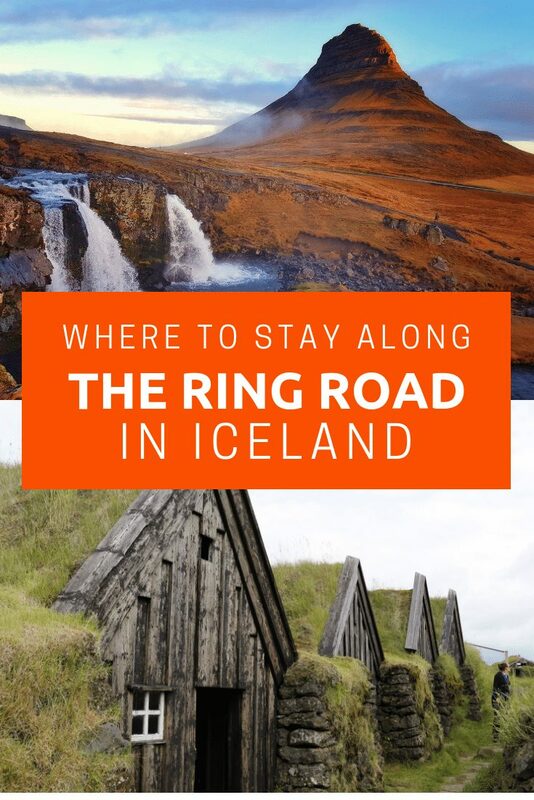 For more Iceland posts and more details about our Iceland itinerary, check out this one on where to stay around the Ring Road! 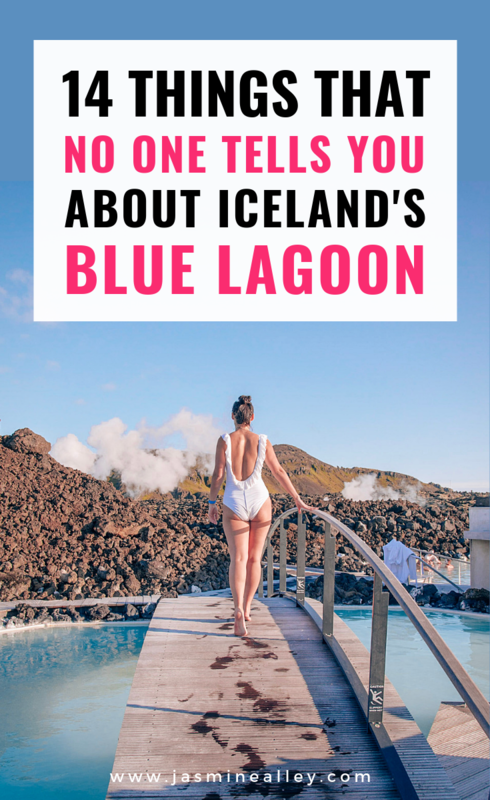 If you found this post helpful, please pin it to your Iceland Pinterest board! You can use this image! 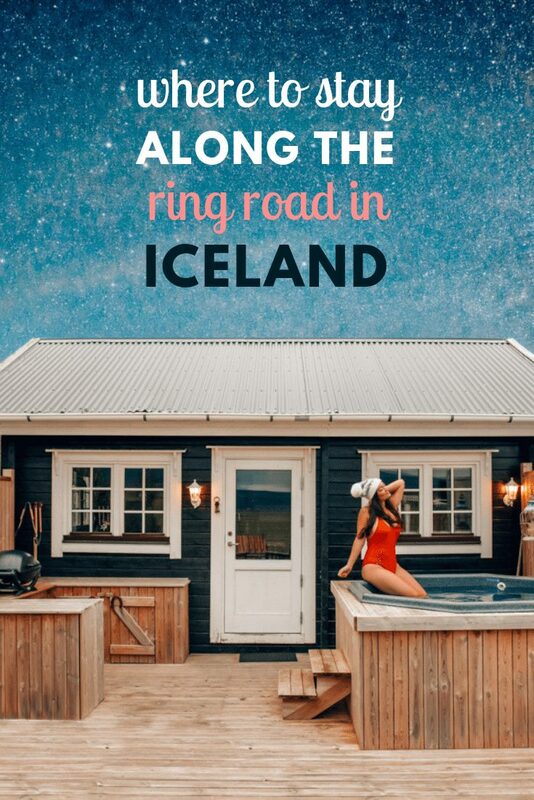 Trying to figure out where to stay in Iceland? Well if you’re traveling the Ring Road in Iceland, you’ve made a wonderful decision for your travel plans. You can expect endless beauty, nature like you’ve never seen before, and quaint towns along the way. My husband, Harrison, and I just returned from a 9 day trip around the Ring Road and I wouldn’t have changed a thing! Here’s where we stayed along the Ring Road- a new place each night in a new town each night. I’m also including ratings on things like location, breakfast, and comfort level (or lack thereof). We began our Ring Road journey at the CenterHotel Plaza in Reykjavik. I highly recommend upgrading your room (it’s only about $30 more) for an incredible view of the city. 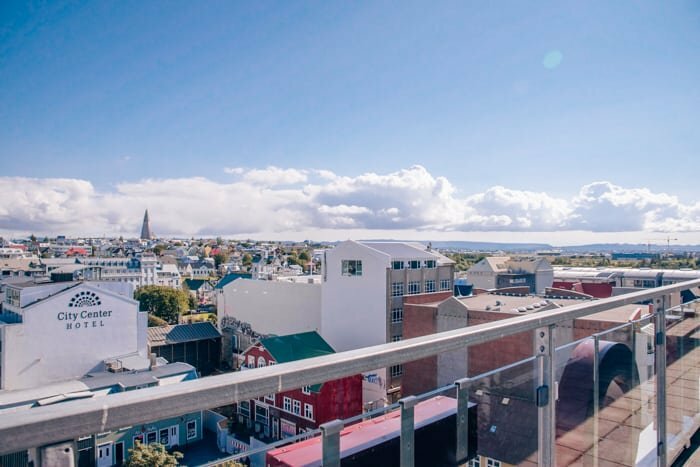 Here’s the gorgeous view of Reykjavik from our balcony. Our room came with robes, fluffy comfy beds, plenty of towels, and if you upgrade your room, you also get free laundry and breakfast in bed! Get more info or book it here! The cutest tiny home I’ve ever been in! After a day around the Golden Circle, we stayed in the cutest tiny home I’ve ever been in… ever. This guesthouse is impeccably decorated and filled with the cutest touches! You also get a personal hot tub! Located on a farm, you’ll find views of horses when you wake up! You can sign up for riding lessons as well when you book. It is about a 10 minute drive from the nearest town, Selfoss. Here’s a view of the home from the loft upstairs. 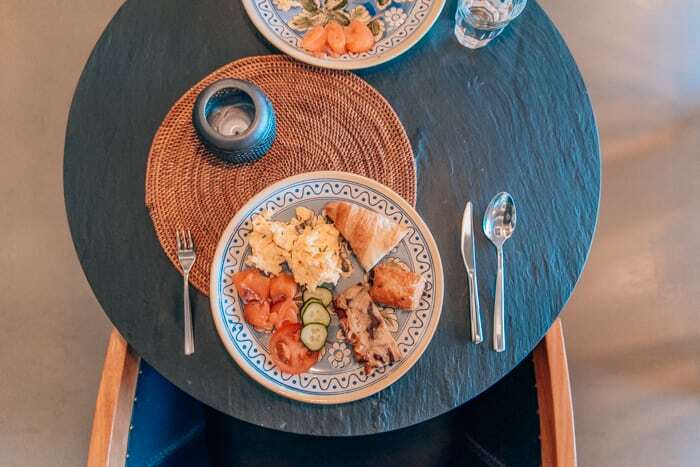 Drive to Selfoss for breakfast, or make your own in your fully equipped kitchen! This place comes with everything you could need! It has a small room with a large bed in it, as well as a loft with two separate twin mattresses in it. The hot tub is easy to use. Get more information or book it here! This hotel is a perfect distance in between Olfus and Hofn, and I recommend grabbing dinner in Vik as the hotel isn’t near any major towns. The hotel offers a good breakfast with a lot of options. Though it is spartan and somewhat dorm/summer camp-like (such that I forgot to take a photo), the hotel rooms are clean and spacious. It is also charming; that they sell handmade goods made by senior citizens in the area, and are all about local sourcing! Hofn gets five stars from me! We absolutely loved this hotel- it was by far one of our favorites! Hotel Hofn is right off of the water- a very short walk or bike ride away. There’s a gorgeous little path that runs alongside the water- it’s perfect for a bike ride. Restaurants nearby are walking distance if the weather’s right! 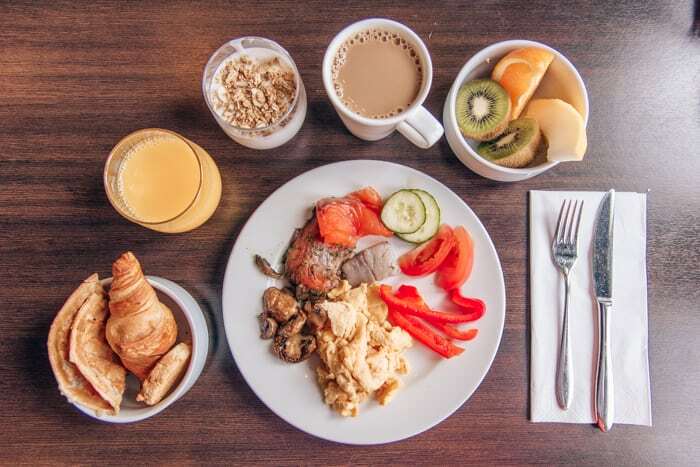 The breakfast options are endless at Hotel Hofn! This was just a small sampling of what they had to offer. Our room was clean, the hotel was gorgeous, and breakfast and amenities like the bike rentals made it absolutely incredible! This AirBNB is perfect if you want to meet new people! While the house is in a good location, the town itself doesn’t have too much to offer. That’s okay though! You won’t find a big city in this area, but that adds to the charm! Breakfast is not included but you have full access to the kitchen, so bring your own groceries for an affordable breakfast! You have the necessities here, but if you’re looking for a place where the whole living space is yours, you won’t find it. The bathroom is shared among multiple guests, but you do have a private room that locks. If you want to use the hot tub, it is $5 per person. On the plus side, this was by far the cheapest place we stayed in Iceland, so it’s definitely affordable. 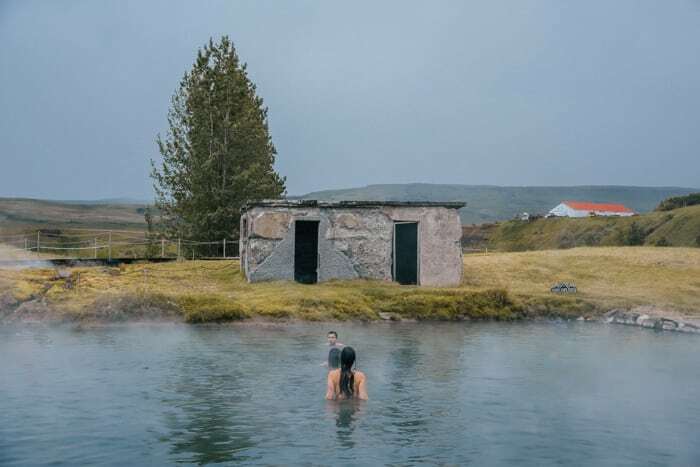 Looking for a nice, clean place in Northeast Iceland? You’ve found it! On the plus side, the Guesthouse is located a short ten minute drive from Godafoss. The only downside we noticed was that the surrounding town doesn’t have many restaurant options. The Guesthouse provides breakfast though the options are limited. Our room was fully stocked- including bathrobes which come in handy if you want to use the hot tub! The hot tub is huge and very, very hot. This is a shot of the farm; the actual guesthouse is not pictured, but is on my right. 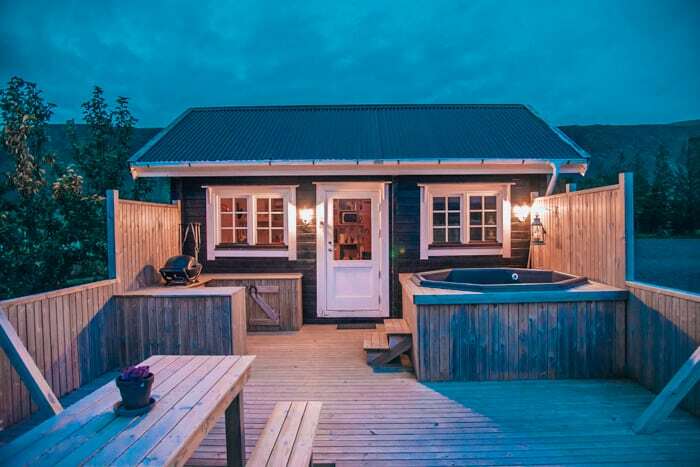 This AirBNB is perfect if you want to ride Icelandic horses! Located on a farm, you can sign up for riding lessons at a great price. 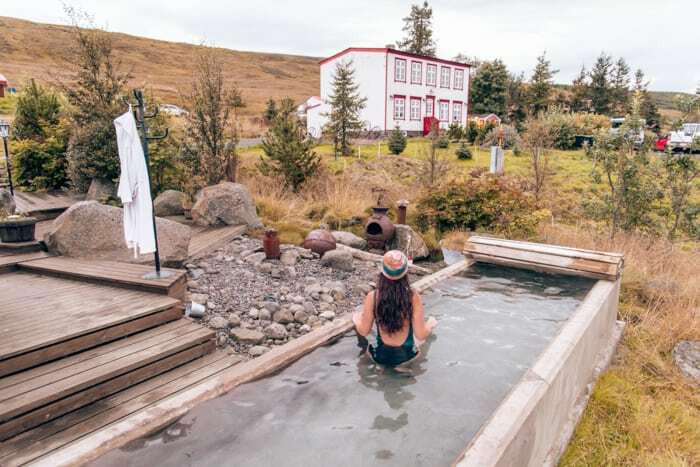 It is about a 10 minute drive from the second largest town in North Iceland, Saudarkrokur. 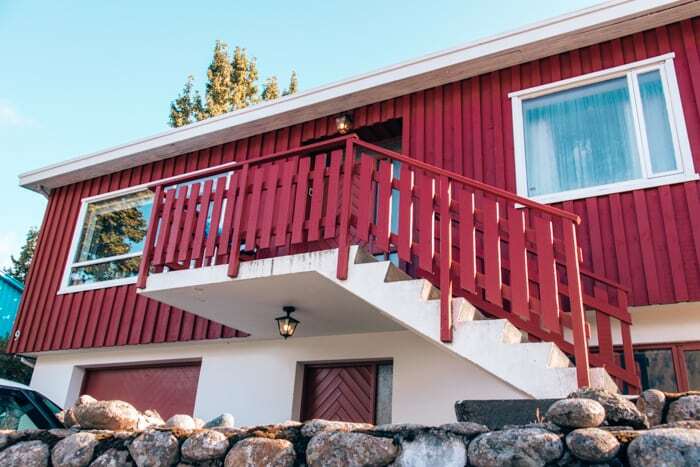 This AirBNB doesn’t come with breakfast, but drive into Saudarkrokur for great options! We enjoyed fresh pastries at the local bakery! 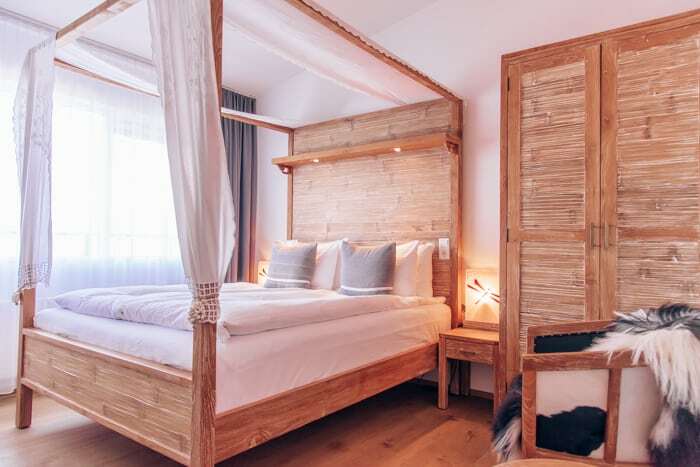 This guesthouse-style AirBNB is new and clean. You do share a bathroom with the other two guest rooms in the AirBNB. Our spacious yet cozy room with adorable elephant towels! Hotel Stundafridur is a really cute hotel on the Snaefalleus peninsula. The whole hotel is pretty small, which gives it a quaint, cozy feel. It’s a new hotel with pretty décor and friendly staff. 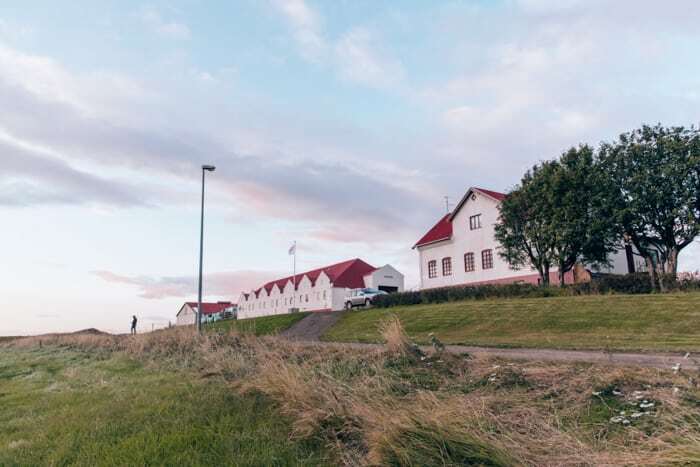 This hotel is a short drive away from Stykkisholmur, a great town on the water that has many great restaurants. Its position on the peninsula gives you plenty of options to sightsee all over the Snaefalleus peninsula. Breakfast is provided. There is a pretty good variety but it wasn’t our all time favorite. With fresh white linens, pretty décor, and huge windows that look out onto the landscape, Hotel Stundafridur definitely offers a great stay. The kind woman who greeted us was so sweet and made us feel so welcome. Pictured above is our canopy bed- such a dreamy addition to the room! The Eyja Guldsmeden was probably our favorite place between the gorgeous décor, eco-friendly focus, and incredible breakfast. Our favorite restaurant, Old Iceland, was about a 10 minute walk away from the Eyja Guldsmeden. The walk to this main part of town isn’t the prettiest walk, but it also isn’t too far. They also offer bikes to their guests if you’d rather bike instead of walk. Best breakfast in Iceland, easily. The only downside is you do have to pay an additional cost for breakfast. Trust me, the breakfast spread is worth it. From fresh smoked salmon to the pastry options, everything is carefully selected and it shows. Everything is easy at the Eyja Guldsmeden. The hotel has been designed for comfort, with thoughtful touches all around. The eco- friendly toiletries and canopy bed are just two of my favorite things about this hotel. You’ll have to see the rest for yourself! 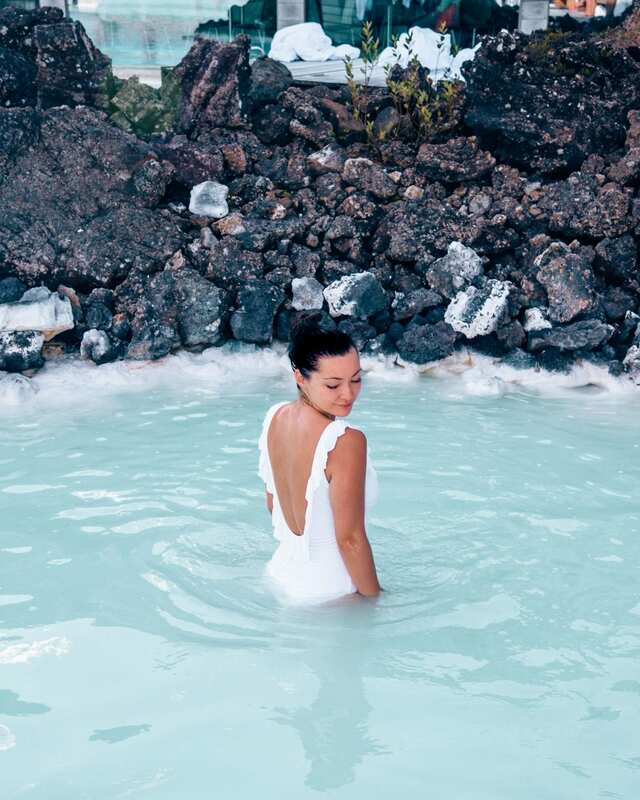 And if you’re heading to Iceland, check out my Ultimate Iceland Itinerary– with a full schedule of things to do and a map of locations! If you found this post helpful, please share it with others on Pinterest! You can pin it to your Iceland board so you can reference it later!